The informal meeting of EU ministers was held on 11 September. Promoting the use of digital solutions and technologies in development cooperation is one of the main priorities of the Estonian Presidency in the field of development cooperation. Ansip mentioned the Digital4Development initiative, supported by EU foreign affairs chief Federica Mogherini, under which there should be a digital component in any development initiative. 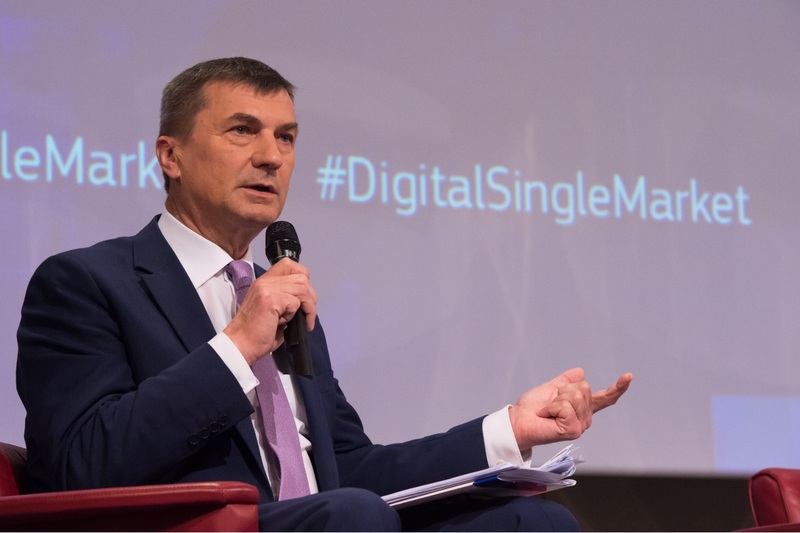 Digital development should be put at the heart of the EU’s aid policy, the Commissioner for the Digital Single Market, Andrus Ansip, said at the European Development Days event in Brussels. EURACTIV France reports. The Commission Vice President said €32 billion has been spent from the EU budget for development over the last ten years, and another €82 billion from the member states. But the part spent on digital had been very small – about 500 million in total. In comparison, he said, French multinational telecommunications corporation Orange was investing €1 billion every year, or even more. The use of smartphones is developing fast in Africa. Farmers who are able to get information about market prices are able to increase their revenue by 20%, Ansip said. The private sector is very active in Africa in developing the digital sector, the Commission Vice President said, and so are some member countries, such as Belgium, whose Development Minister Alexander De Croo was very committed to the issue, he added. De Croo is deputy prime minister and his portfolio includes development cooperation, digital agenda and telecoms. “You can make miracles in Africa by investing small amounts of money in digitalisation”, said Ansip. He said the Nigerian government has invested some 10 million to connect two already existing registers – the population register and the register of civil servants. This allowed it to discover that the state had been paying for 63,000 ghost workers, to the tune of $1 billion, an amount that was now returned to the state budget, he said. A second example Ansip gave is in India, where all citizens have been given digital identity. In his words, this has eliminated the middlemen when paying state allowances, which has helped save $8 billion per year. In Guinea, the third example, all digital registers have been connected and the country was able to cut 20% of its expenditures, illustrating how huge amounts of money can be saved in the public sector by investing in e-governmental solutions. Ansip said he had made a proposal for a business forum, partly dedicated to digital business, to be held back-to-back with the EU-Africa meeting on 29-30 November in Abidjan, Ivory Coast. He said the Commission would pay for 100 start-ups to be present at the forum, and that the forum was expected to launch a “start-up manifesto” which would spell out what governments need to do in support of start-ups. “It’s not about money, it’s much more about legislation”, Ansip said, adding that there was a need to create better relations between European and African start-ups. “Africa is full of creativity”, Ansip said, citing M-Pesa, an Africa-made mobile payment app. M-Pesa (M for mobile, pesa is Swahili for money) is a mobile phone-based money transfer, financing and microfinancing service, launched in 2007 by Vodafone for Safaricom and Vodacom, the largest mobile network operators in Kenya and Tanzania. Now the system is being used in Romania, he said. Ansip gave another example with Jumia, the online sales company which in his words is leaving no room for Amazon in a number of African countries. Jumia, formerly known as Africa Internet Group, is an ecosystem of online businesses, marketplaces and classifieds websites and applications created in 2012. Started in Lagos, the company now has a presence in 23 African countries. Ansip said that for achieving great results there was no need for loads of cash. “You can make miracles with small amounts”, he said. 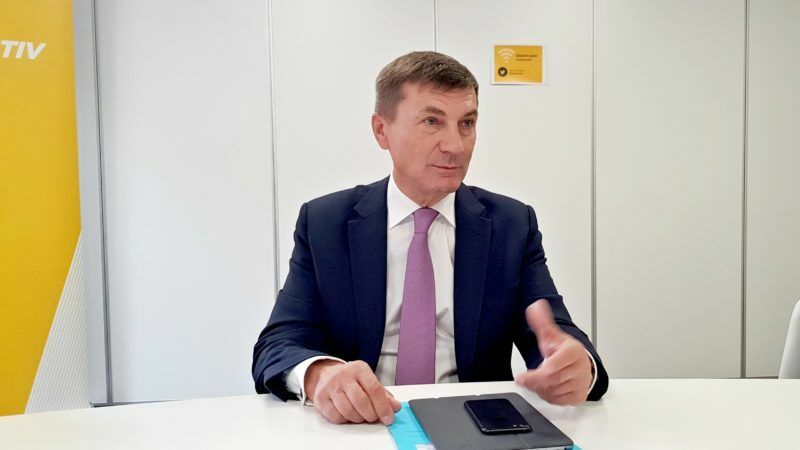 “They are equal partners when talking about digital businesses”, Ansip insisted, repeating that in the digital field, Europe’s cooperation in Africa had nothing in common with paternalistic approaches in traditional development aid. To illustrate that, Ansip said that 2,000 people worked for Atos in Senegal. Atos is a European IT services corporation with headquarters in Bezons, France, and offices worldwide. It specialises in hi-tech transactional services, unified communications, cloud, big data and cyber security services. “From taxes paid by one worker employed by Atos in Senegal, the country can provide social assistance to 100 persons, he said. Digital identity could also be of use in the context of the refugee crisis, Ansip said, but even more importantly, for the vaccination of children, to keep track of vaccinations made and avoiding repeated vaccinations, which can be dangerous.